Based on David Schulner's pilot The Oaks, originally picked up for a potential series by Fox for the 2008/2009 television season, Marchlands is a five-part adaptation for ITV1 of Schulner's story, that ultimately didn't make it to series, and is the first drama to emerge from the production deal between ITV and 20th Century Fox Television. 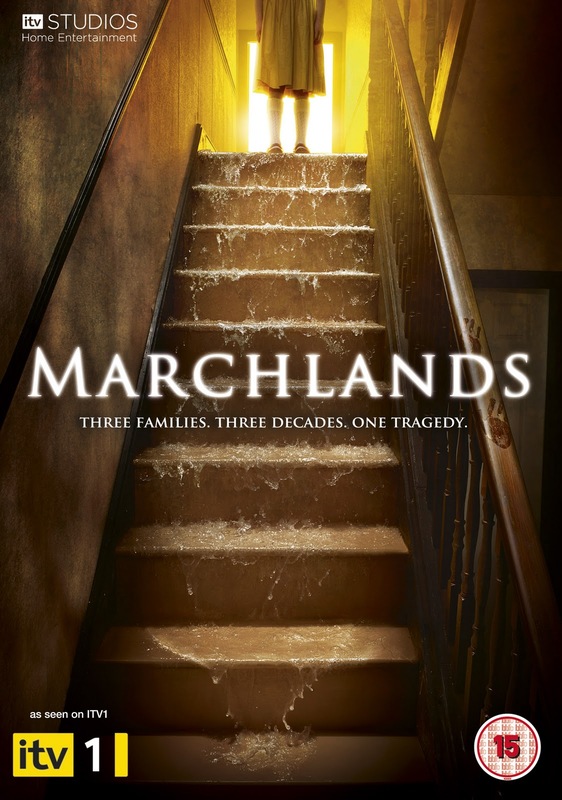 As in the original U.S. pilot, Marchlands weaves an intriguing narrative across three different generations living in the same eponymous house. At the centre of the story are the traumatic after-effects of the death by drowning of an 8 year-old girl, Alice Bowen and how her seemingly restless spirit reaches out from the past. She attempts to communicate the circumstances of her death in 1968 to the two families that come to live in Marchlands in both 1987 and the present day while her mother Ruth obsesses about the cause of her death and makes a journey back to Marchlands to find the answers. Stephen Greenhorn's scripts skillfully mesh together the social and cultural ambiances of all three periods where, in less mature hands, the shifting between the decades and the handling of such a large ensemble cast could have descended into confusion and chaos. The distinct periods in the house and the surrounding village are also made palpable by colour schemes, costumes, prop vehicles and interior designs and an alignment of each period with particular seasons of the year. The 1968 storyline is visually the darkest of all palettes and charts the traumatic loss of a child and its affect on the marriage of Ruth (Jodie Whittaker) and Paul (Jamie Thomas King), with dark browns, greens and blues redolent of rural life unaffected by the pop culture of the period (The Saint is seen on television at one point), suggesting young lives held in stasis within the moral codes overseen by Paul's parents, Evelyn and Robert, played by Tessa Peake-Jones and Denis Lawson. There is a sense of repression and dammed up grief and the cause of which all becomes very evident by the conclusion of the story and appropriately underlines the exploration of 'permissiveness', of sin and secrets across the generations within the English village setting of Marchlands. Peake-Jones comes across at first as the mother-in-law from hell but by the final episode you can understand why she is an incredibly cold character after Robert, her quiet, unassuming, grey little husband, is revealed to be the central spoke in the wheel of the narrative. When Helen and Eddie Maynard, played by Alex Kingston and Dean Andrews, move into Marchlands in 1987, the colour schemes become bright, intense yellows, reds and greens and amusingly the pop culture references are ushered in with Kingston, as Helen, exercising along with Good Morning Britain's Lizzie Webb and the family watching Countdown. The plot with Kingston and Andrews works more cohesively and to Marchlands benefit in the first two episodes, providing much of the intrigue as Helen and Eddie's daughter Amy draws the haunting Alice to her as an invisible friend. This develops over the course of five episodes into a clash between rationalism and superstition with Helen depending on medicine and psychiatry to diagnose Amy's condition and Eddie slowly accepting a spiritual malaise at the heart of the matter, leading him to investigate the death of Alice in 1968 and persuade the clergy to bless the house using traditional prayers and holy water. Kingston and Andrews are superb and make the 1987 sequence the most satisfying emotionally of the stories, tracing the bonds between children and adults effectively. 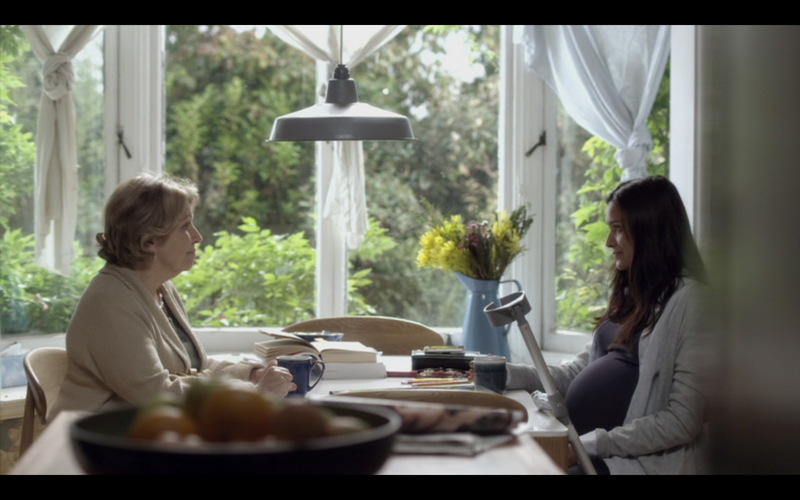 Perhaps the least effective of the three stories is the one set in 2010 and featuring a young couple Nisha and Mark (Shelley Conn and Elliot Cowan) who have just moved into the house and are decorating it before the birth of their first child. Here again the spectre of Alice makes her presence felt but the symbolic importance of the uncovering of the mural in Alice's old room, her photograph and journal are somewhat laboured at times. The most intriguing aspect of this period, where Marshlands is a series of whitewashed, bare rooms that hint at a relationship between husband and wife that looks unblemished on the surface but also turns out to hide a whiff of infidelity and jealousy, is the return of an older but still traumatised Ruth (here played by the wonderful Anne Reid). As Ruth goes in search of the truth she inadvertently uncovers Mark's past indiscretions with a local girl Olive Runcie. It is part social commentary on three distinct periods in English village life, often using pop references to note how times and attitudes change and it is also an examination of family life and the relationships between parents and children, their dysfunctions leading to moral and psychological complexes. The three eras are knitted together through various symbols - the mural of Alice standing by the side of a lake, the swaying children's swing, images of drowning (not just Alice but the drowned doll, various characters submerged in their baths, a news report about the Zeebrugge disaster and the Maynard's epileptic son almost drowning himself) and, of course, the house itself. Remarkably, the supernatural element remains as a mystery. 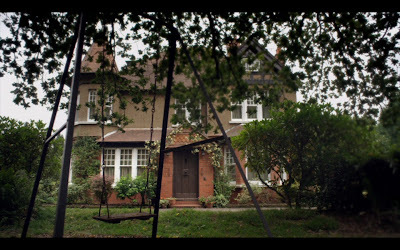 Marchlands accepts Alice's ability to contact the other characters from beyond the grave and does not dismiss it through the intervention of some rational investigator. What may be questionable here is just how much this supposed to be a ghost story and just how much of it is supposed to be socially conscious drama. The supernatural elements are very underplayed and often rely on visual cliches - ghostly hand prints, empty swings, strange noises and apparitions. If you were expecting this to be a scare fest then you'll be somewhat disappointed as there are no truly horrific moments. It does, however have bags of atmosphere, a slowly escalating sense of unease and director James Kent conjures up and sustains the mood very elegantly throughout. Alice's manifestations are clearly an effect of the accumulative guilt and repression in many of the male characters. The majority of the male characters are labouring through moral and physical dysfunctions throughout the drama. Paul feels inadequate as a husband to the traumatised Ruth; Mark is also unaware of the results of his past associations with Olive and Robert is clearly the original sinner in the story, whose actions create a chain reaction through past, present and future. To an extent the women characters are the victims of of this male repression and either have to carry the burden of their guilt or cover it up. 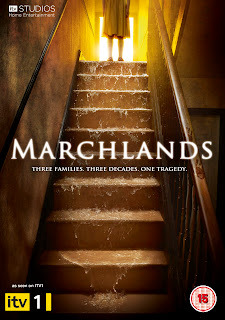 Well directed and performed, visually very polished and with a suitably mysterious piano-led score from John Lunn, Marchlands is more an exploration of family secrets, the relationships between children and parents and the grief at the loss of a child than it is about ghostly hauntings. However, it's an enjoyable and intriguing drama worth watching and the use of the three time periods and the ensemble cast is extremely effective. The DVD boasts an excellent picture quality and having seen this on ITVHD then it is a pity that a Blu-ray edition isn't currently available as I recall the lush, detailed imagery as a vital ingredient in enjoying the series. Here, colour and flesh tones are very good, detail and contrast, boasting some deep blacks, is equally acceptable. Brief introduction to the characters by the actors who play them, offering some background to their relationship with the children in the story. Kent briefly explains how he shot each story with specific emphasis on the 1968 segment, and working with Denis Lawson and Tessa Peake-Jones. He then discusses working with Dean Andrews and Alex Kingston, Shelley Conn, Anne Reid and Elliot Cowan. Another brief introduction to the characters of Mark and Nisha and their lives at Marchlands. Final brief interview on location with Denis and Tessa who discuss the 1968 setting and characters and how the script spans three time periods.